Electrum's focus is speed and simplicity, with low resource usage. It uses remote servers that handle the most complicated parts of the Bitcoin system, and it allows you to recover your wallet from a secret phrase. 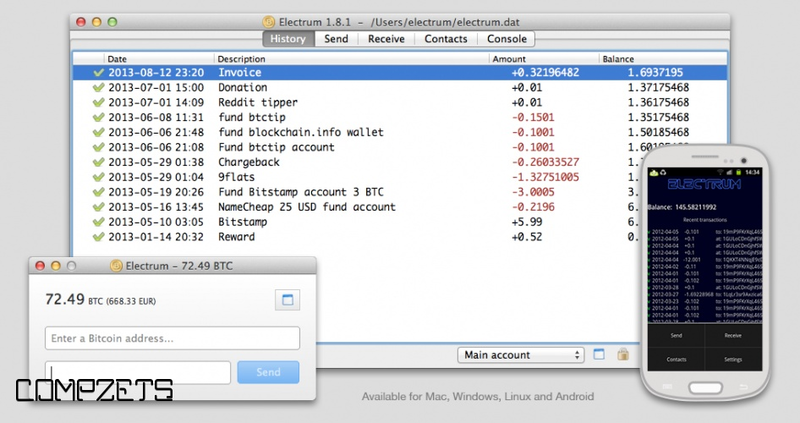 Electrum is an easy to use Bitcoin client. It protects you from losing coins in a backup mistake or computer failure, because your wallet can be recovered from a secret phrase that you can write on paper or learn by heart. There is no waiting time when you start the client, because it does not download the Bitcoin blockchain.